Sue and Trevor Dwyer met as children in 1976, while attending the same elementary school in Kingston, Ont. They would eventually reconnect, fall in love, and even become business partners. Nearly 40 years after they met, in fact, they investigated franchise opportunities and, with a heart for people, a love of cars, and a drive to succeed, they felt Tint World’s automotive styling centre concept was the perfect fit for them. They joined the system and opened its first Canadian franchise in their hometown of Kingston. Most recently, they were honoured with the Tint World Franchise Ambassador Award, in recognition of their pioneering efforts in their market. Sue attended Trent University in Peterborough, Ont., where she earned a Bachelor of Science (B.Sc.) with honours in biology and environmental science. For seven years thereafter, she served as a technician in aquatic toxicology. She started as a technician in the field, then transferred roles and became a lab manager, which she explains was very much like running a business. In this position, Sue supervised graduate students and managed budgets and inventory. Looking back, she recognizes this was a great preparation for what would eventually become her second career as a Tint World co-franchisee. Trevor, meanwhile, had a love for cars and electronics from an early age. After pursuing a career in computer network engineering, he eventually became a fibre specialist in a nylon production plant. While this job provided financial security, with a strong wage and pension that made it hard to leave, he found it unsatisfying and wanted to own his own business, instead. So, after Sue and Trevor reconnected as adults, they started to explore different professional options, including franchise systems. At first, Trevor was looking independently for an opportunity for himself, but as it turned out, the timing was right for both of them to join forces and take on a new venture together. Sue’s background had positioned her well for entrepreneurship. Her lab management skills were transferable. In particular, her budgeting experience and her ability to effectively enforce standard operating procedures (SOPs) to make things run smoothly would be valuable when making a career transition. Handling money and knowing when to save and allot finances for specific projects, after all, are important skills when you are running your own business. While Sue had not dealt directly with retail sales, she had learned a lot in the lab about interacting effectively with people and taking care of their needs, as she was working with graduate students and employees. 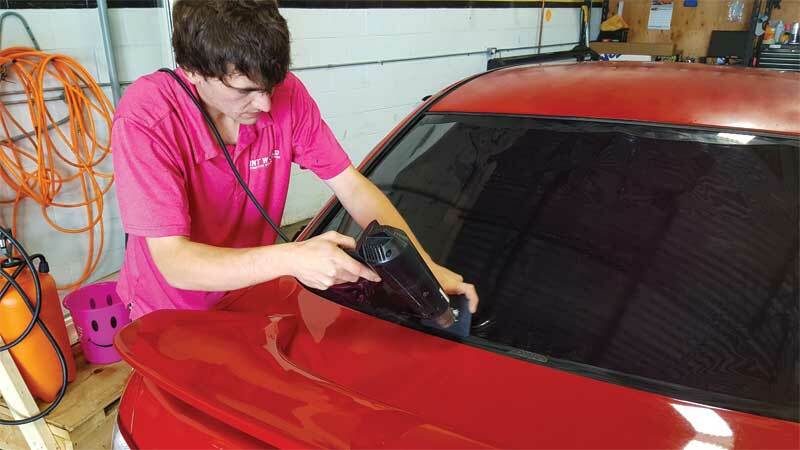 Given Trevor’s passion for cars, Tint World caught his attention when he was researching franchise systems. Each time it popped up, however, he pushed it aside, because the last time he had followed his heart in pursuing a career, it had not gone as planned. Sue and Trevor Dwyer felt Tint World’s automotive styling centre concept was the perfect fit for them. Over time and with more research, Trevor eventually realized how good a fit Tint World was for both him and Sue. They found the initial franchise fee and startup costs were reasonable. Also, the business seemed to offer a good balance for them as a couple: Sue could work on the administrative side of things, while Trevor could immerse himself in sales and managing the shop. When they met with the franchisor’s team during a discovery day in 2013 at the corporate headquarters (HQ) in Fort Lauderdale, Fla., they knew they had found the right system. 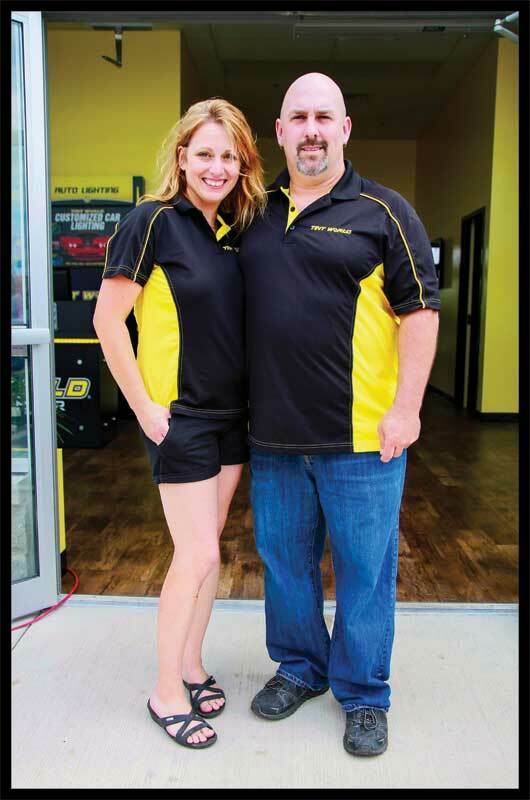 It was a team both of them wanted to work with and a system they felt would support them as they became the first franchisees to expand the system from the U.S. into Canada. The CEO, Charles Bonfiglio, was very involved and promised to pick up the phone at any hour to help them. “He wanted us to do well and the system had a great work culture,” says Trevor.